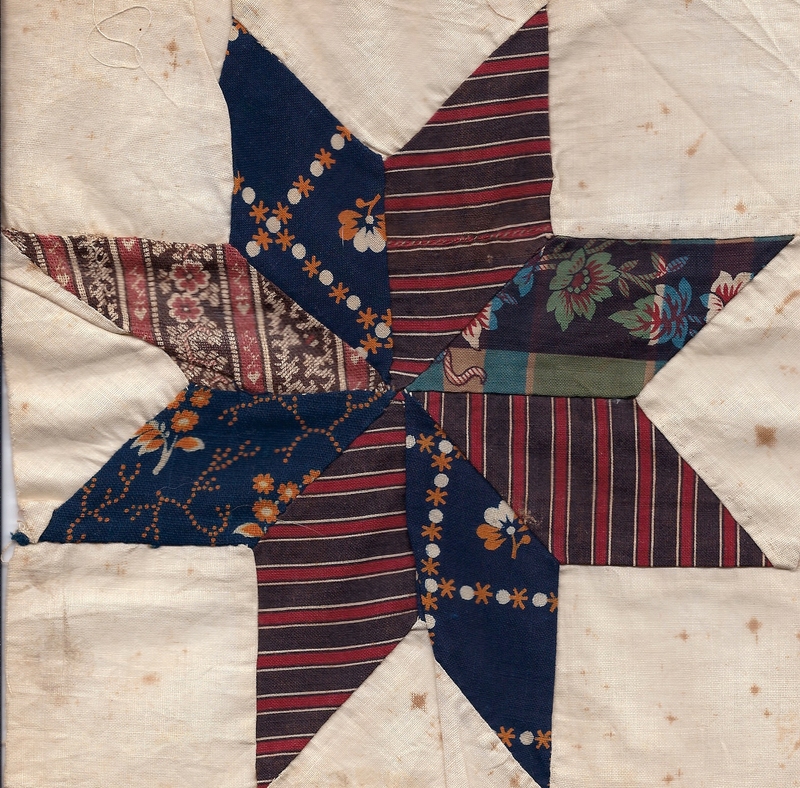 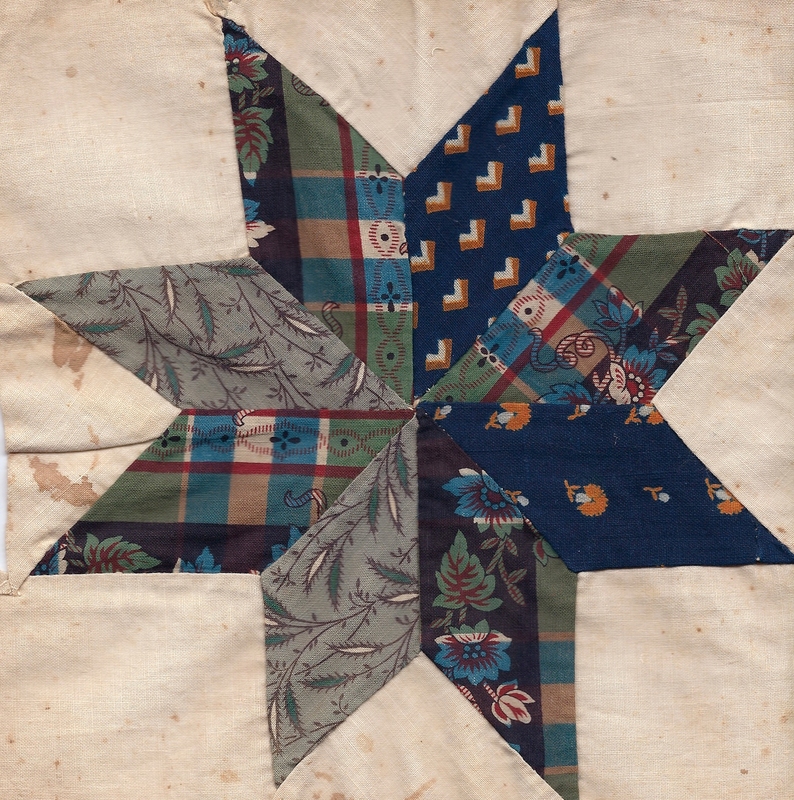 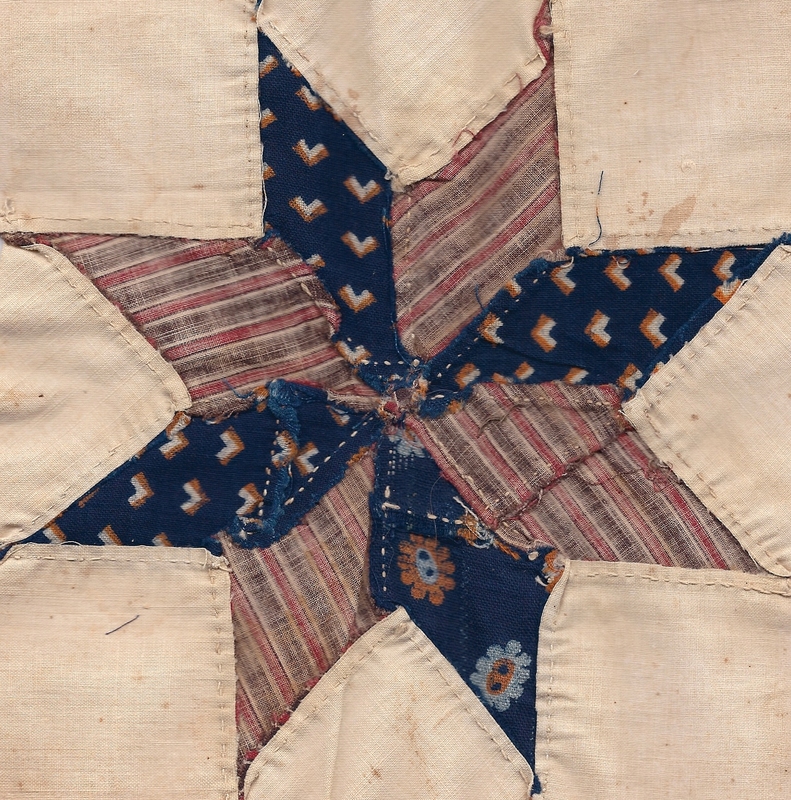 I just found an 1842 hexagons quilt with indigo fabric in mint condition. 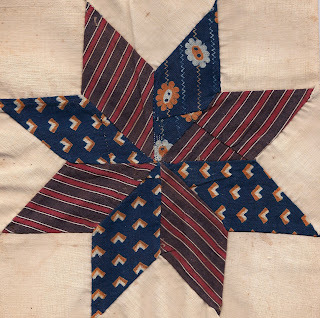 If you're studying indigos, which it appears you are, let me know if you'd like to see pictures. The indigos are small scale prints with chrome orangey-yellowy. There are some pictures on my blog a couple days ago, but I can get you close-ups if you want.